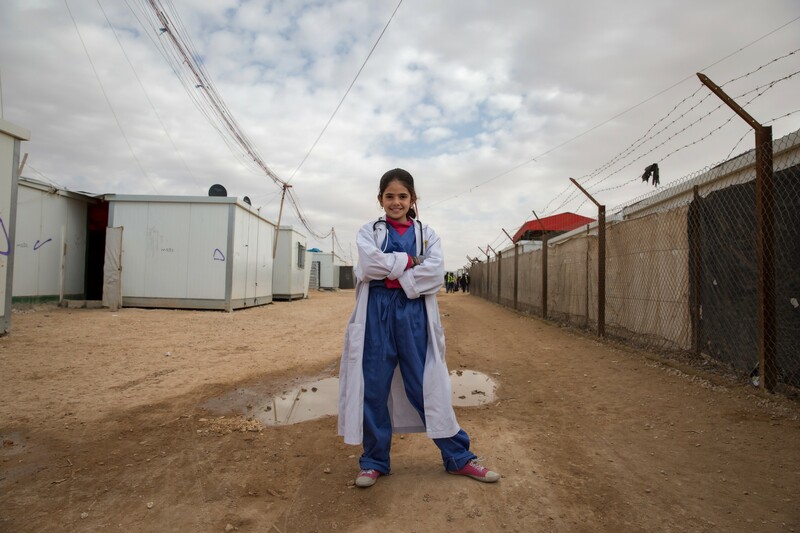 It is a cold, damp February day in Jordan, and Zaatari refugee camp is a sea of mud from last night’s rain and snow. In a small white caravan on the edge of the camp, 30 girls sit in a circle. A few have quick conversations with their neighbors, then resume their silent thinking with the others. It is our final meeting together after three months, and I’ve asked them to think of one phrase that defines who they are as girls, and how they want others to see them. Since the start of the war in Syria, over 3 million people have fled the country; of those, 4 out of 5 are women and children. 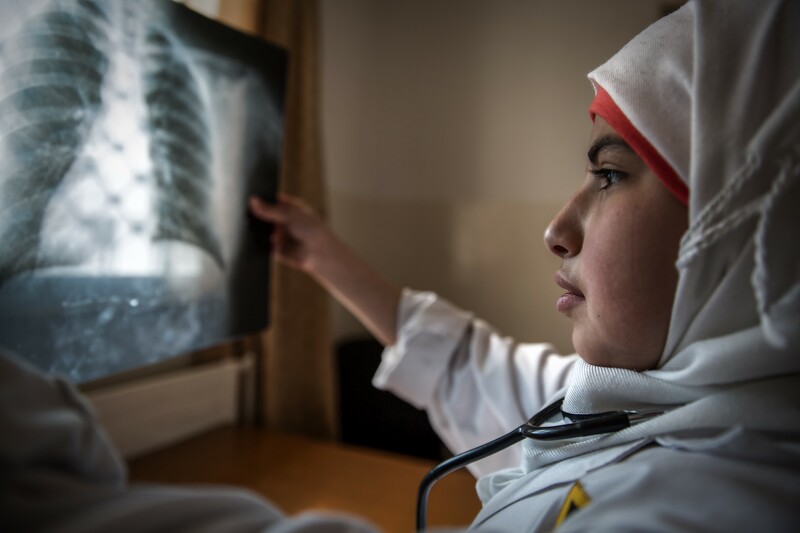 Syrian refugees have experienced the trauma of war, the loss of loved ones and their homes and the struggle to survive in a new country. 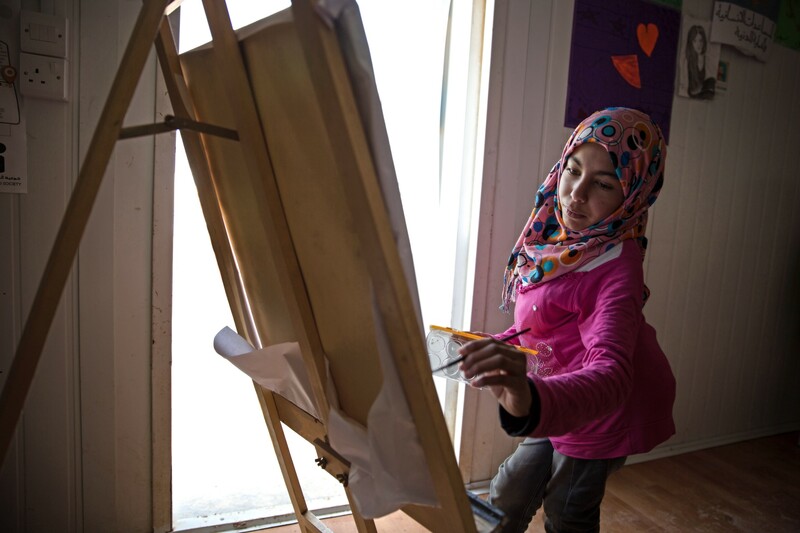 Additionally, Syrian girls face a disproportionate amount of harassment and exploitation, from early marriage to violence on the street and inside their homes, and often are prevented from getting an education. This situation is not unique to Syrian refugees. Around the world, girls are marginalized, and their futures defined by their gender. Girls are someone else’s future wife, someone else’s future mother, someone else’s free laborer, someone else’s something. With adolescence, boys begin a new phase of life, with new options and choices, while girls see their worlds shrink. They have little space to dream or imagine, and they are stripped of their choices and potential as they become ever more isolated. Instead, they are taught to make themselves smaller, more amenable, less demanding. In 2013, I partnered with the International Rescue Committee to create Vision not Victim, a program designed to give girls the skills and support they need to build a better future for themselves. Vision not Victim was piloted in the Democratic Republic of Congo; in late 2014/early 2015, we were able to implement the program in Jordan. 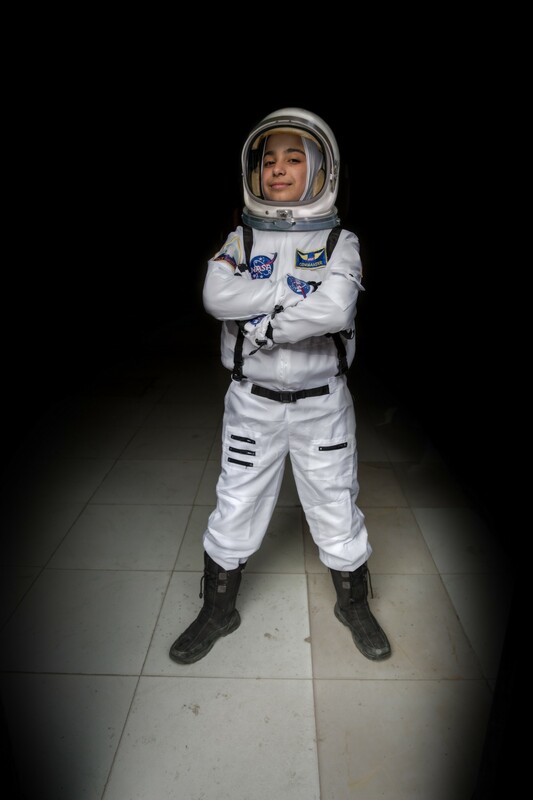 Being a photographer, I wanted to use images to encourage girls to explore their potential and to share their power and possibilities with the people around them. 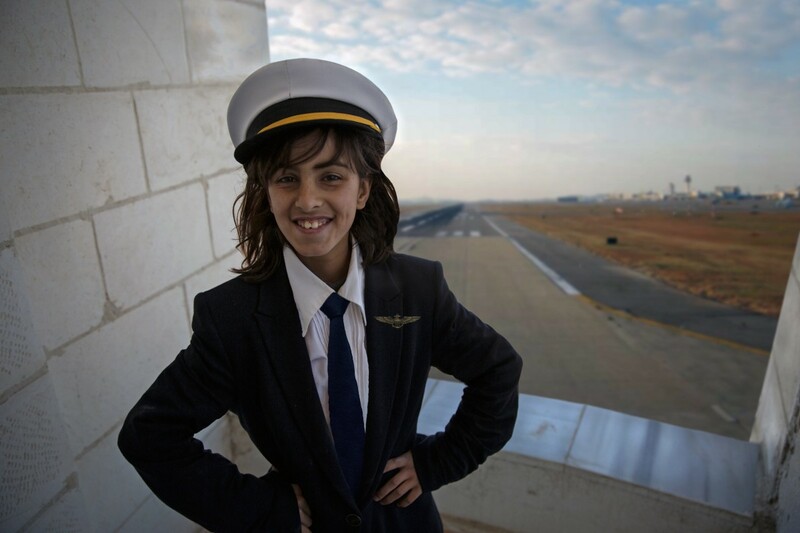 We asked the project participants, Syrian and Jordanian girls ages 11 to 16, to discuss their goals and imagine their future personal and professional lives. Many of them had directly experienced conflict. 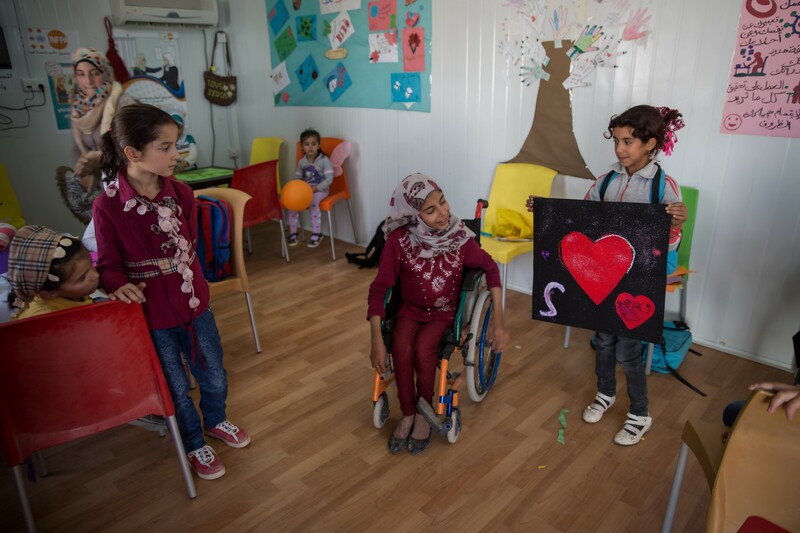 Touched by trauma and loss, they had ideas about how they wanted to change their country, help others, and use their skills and passions to improve their communities. Through creative activities, Vision not Victim supported these girls in building critical life and leadership skills. We invited mentors — successful women from the area — to speak to the group, exposing girls to a wider range of possibilities by sharing their own experiences, by telling stories of how they navigated obstacles and achieved their dreams. 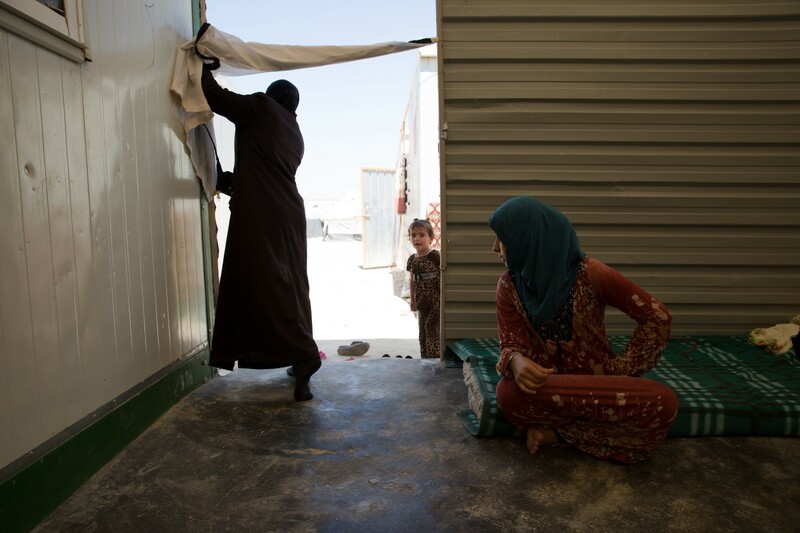 Let me take you back a few weeks before our final meeting, to that same caravan in Zaatari camp, to the same circle of girls — with the addition of two guests. Halfway through our program, Rodaina Al Atti and Rula Al Hroob, both long-serving members of the Jordanian parliament, are visiting to speak with the girls. They are powerful and engaging politicians, but it is their life journeys that captivate the girls, who lean in to catch every word. 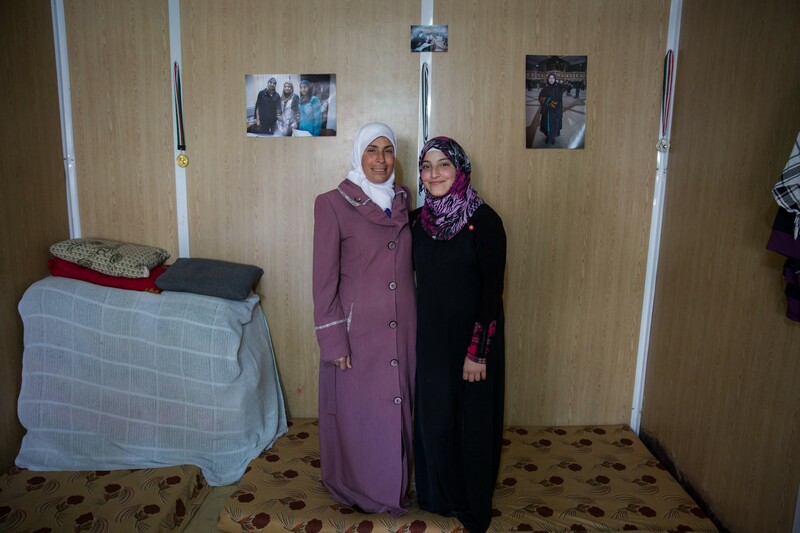 At certain points in their lives, Rodaina and Rula were also refugees. Nesrine sits to my right listening intently. She is one of those people who can’t keep from smiling, brightening every room she enters. 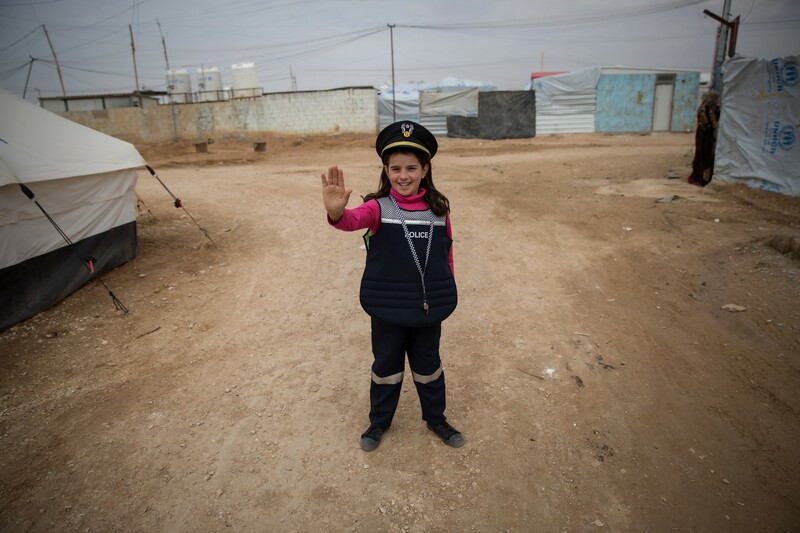 Although she is 11, Nesrine is not in school. 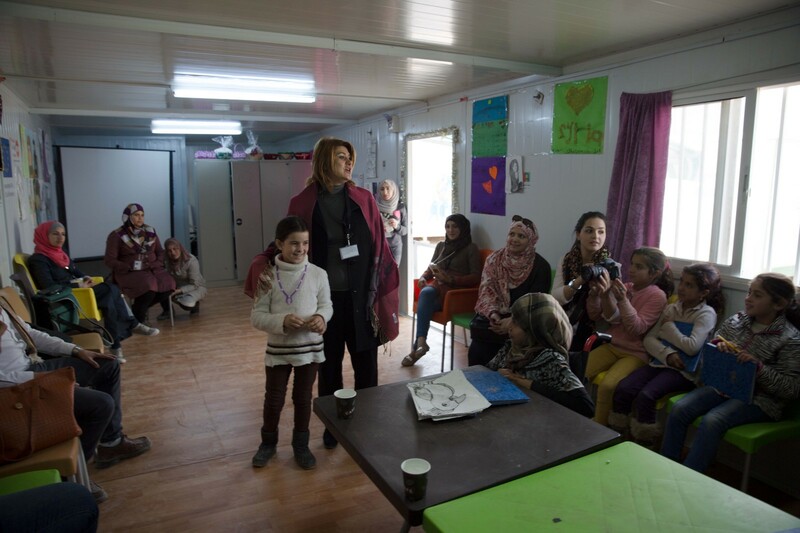 Education is free in the camp, but parents feel uncomfortable sending daughters to school because they are constantly harassed and, at times, attacked. 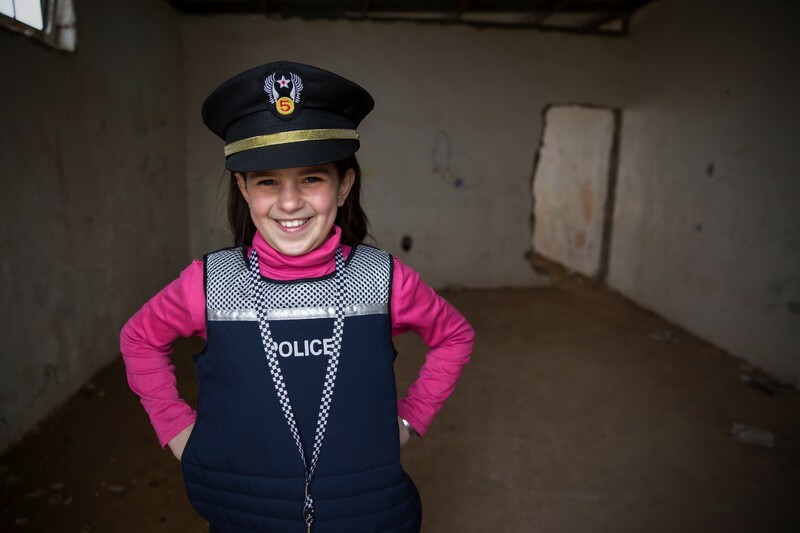 Nesrine herself says she doesn’t want to go to school — she feels as if there is no future for her and education is pointless. Today, however, Nesrine seems different—a serious look on her face. She listens to Rula and Rodaina chronicle the obstacles they faced as girls and later as women. 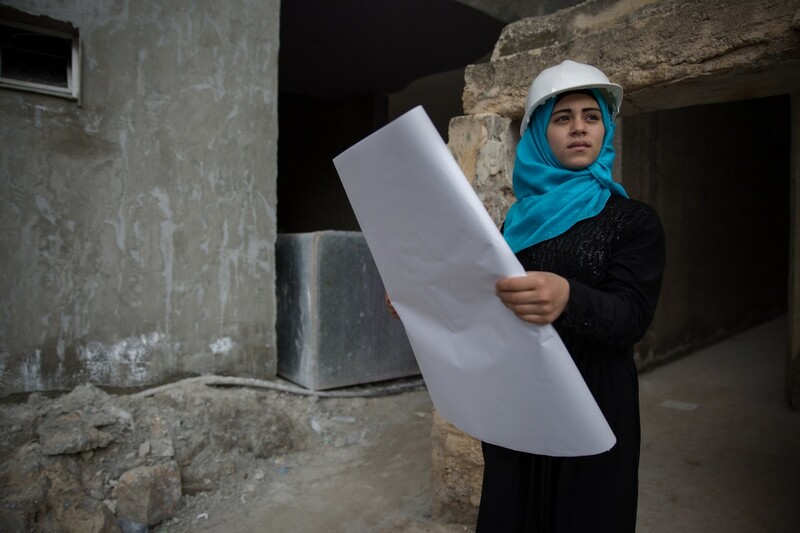 The women speak about social norms that try to put limits on what a woman can do, about the lack of resources and opportunities for girls, about conflict and displacement. As they finish and the group begins to file out, Rula gently pulls Nesrine aside, asks her about herself and why she is not in school. The two talk for a few minutes, and Rula makes a passionate case for education — that it is a weapon and that it is power. Nesrine registered for school the following day. Each Vision not Victim program culminates in a photo shoot. Every girl designs and directs her own shoot where she poses as her future self — achieving a goal. Whenever possible, we try to do these shoots on location, in actual working environments, so girls can meet people in their envisioned field and truly step into their future. In the city of Amman in Jordan, the main courthouse is an imposing polygonal building with staircases climbing in all directions. The rotunda has a vaulted ceiling three stories high, with a skylight that allows the sun to stream downward on visitors in the lobby. A thin but ever-present layer of smoke hangs in the air as lawyers talk among themselves and with their clients. They are easy to spot, the lawyers — men and women draped in black robes with yellow stripes, hurrying to and fro with folders under their arms. 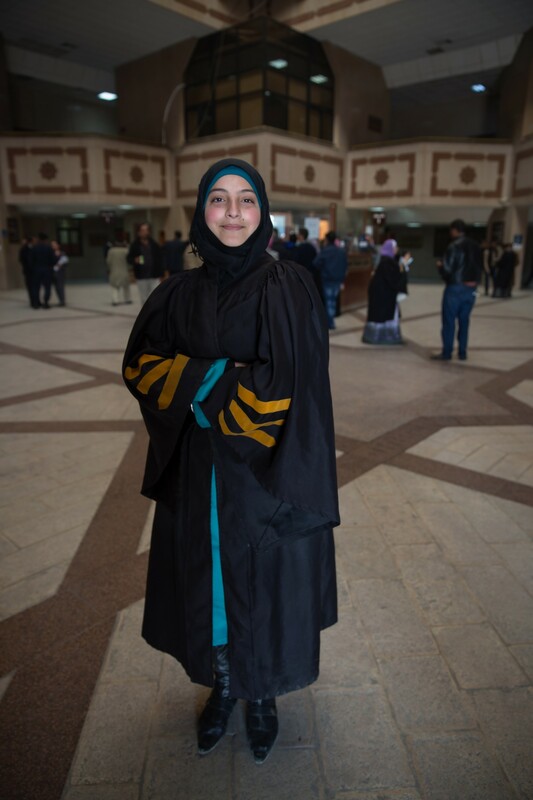 16-year-old Nour walks among them, wearing her own black-and-yellow striped robe, papers in hand. She is speaking with a group of lawyers and a judge — all women talking animatedly. We move through the courthouse, watching litigations and speaking with different law professionals. As the afternoon unfolds, Nour finds the perfect spot for her photo shoot. Standing in the middle of the courthouse lobby, she poses proudly as people pause to watch her. “I chose law because I want the innocent to have the justice they deserve,” she replies loudly when a bystander asks her why she wants to pursue a career in law. At this moment, she is not miming a part; she is not pretending; she is completely and utterly herself and confidently stepping into her future. Perhaps the most moving and impactful part of the program is the moment when the girls share their photographs. They beam as they receive their images and run to show parents and friends. We, the IRC staff, sit down with parents and community leaders to carefully have conversations about what they can do to keep girls safe, and support them in pursuing their aspirations. 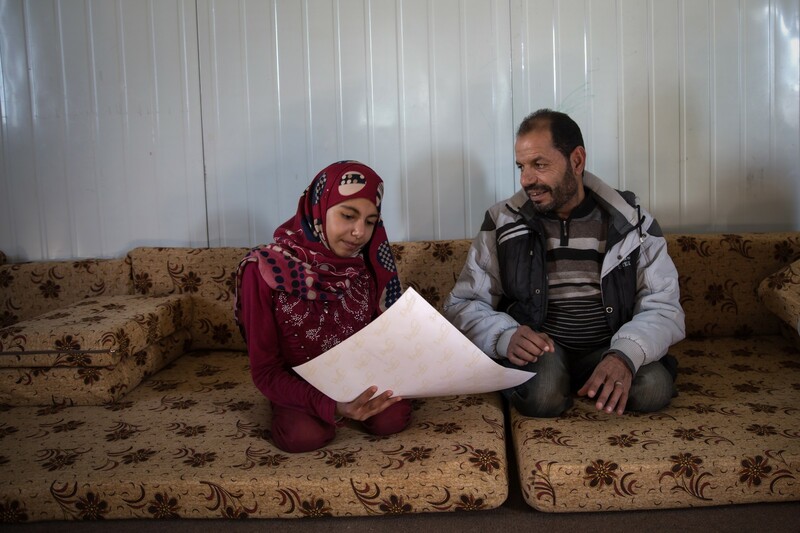 Inside their small caravan, on another cold February day, one of the last days of our program in Jordan, 13-year-old Merwa sits with her father, spreading out her photos on the floor. Together they trace the images with their fingers as she narrates what she is doing in each one. His smile widens as she talks about why she wants to be a painter and how she believes she will change the world through her art. Gandhi once said, “We must be the change we want to see in the world.” But we also must see the change we want in the world. The girls of this program have shown us images not only of their personal futures, but also of a collective future where girls and boys are treated equally, have equal access to opportunities, are safe from violence to pursue their potential. We are all part of this potential future for girls — every one of us — whether that is as a girl leading or as an ally by supporting girls. Each of us can work towards this future — by listening to the girls around us, by fighting for the equality of women and girls, by challenging stereotypes, by providing girls with opportunities, and by understanding that when a crisis hits — girls are critically vulnerable and must be prioritized. 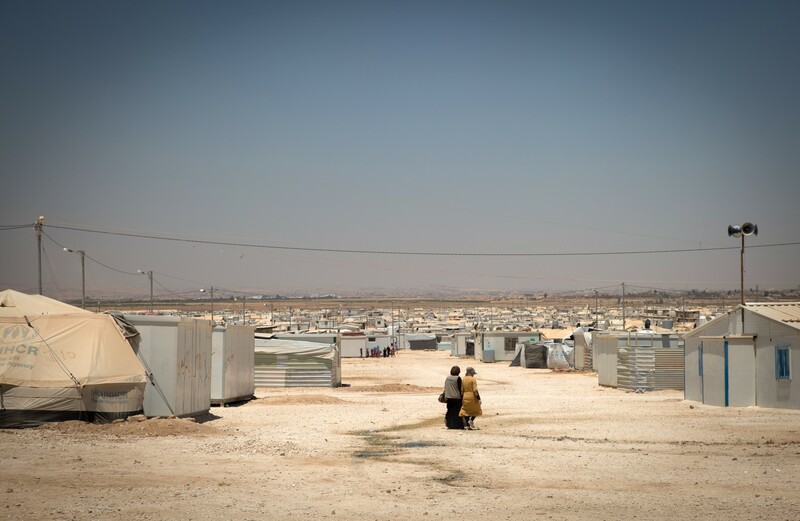 Nearly 60 million people have been forced to flee their homes by war, conflict and persecution — more lives uprooted than at any time since World War II. Produced by the International Rescue Committee, “Uprooted” keeps the spotlight on the individual human beings behind the tragic numbers in this global refugee crisis. Produced by the International Rescue Committee, “Uprooted” keeps the spotlight on the individual human beings behind the tragic numbers of the refugee crisis.